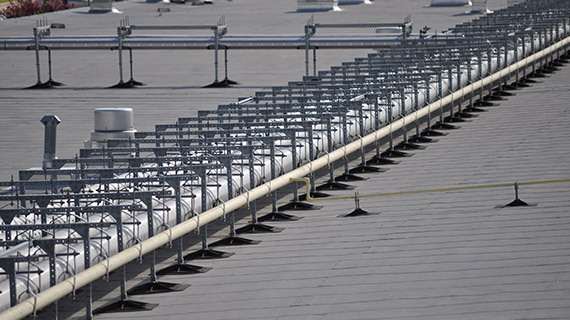 The PSE Custom model is designed to support multiple hydronic, refrigerant, steam or gas pipes at most any specified height and width above the roof surface. 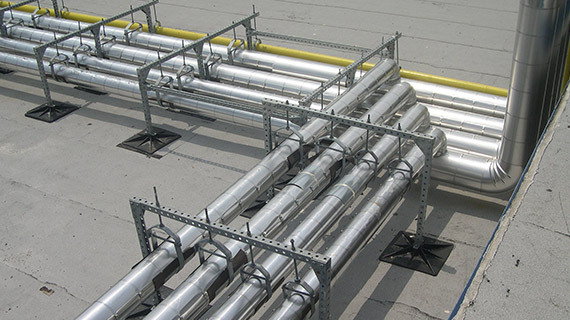 The frame supports the pipe from above-using hangers. 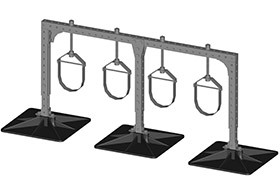 Insert legs of pipe support into bases and attach with 2-1/2” bolt and 1/2″ nut. Space out pipe supports according to specifications. This should be done before any pipe is supported. 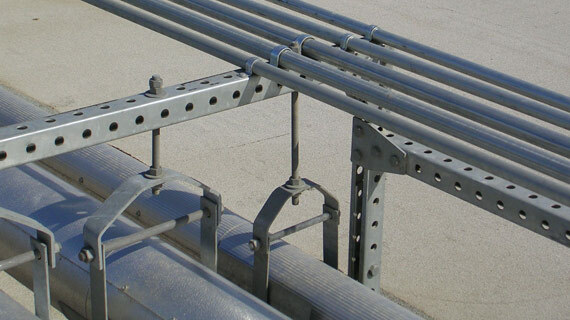 IF BRACING IS REQUIRED, attach horizontal bracing to legs of pipe supports, (approximately 3/4” of the way up the height of the support) with 3” bolts and 1/2″ nut. Remove bottom half of clevis hanger. Insert insulation protection shield between the bottom half of the hanger and insulated pipe. Reattach the bottom half of hanger to the top half of the hanger. Adjust height of hanger so the hanger is supporting pipe. Adjust height of hanger by turning nut at top of allthread; clockwise to raise, counter-clockwise to lower. 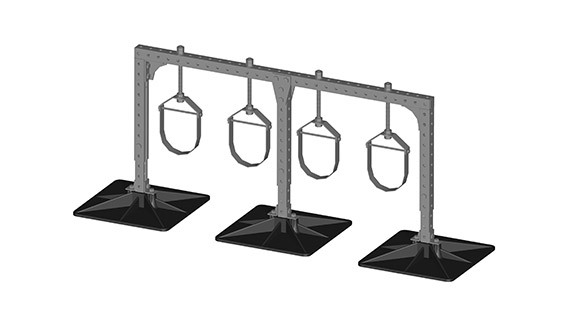 NOTE: Over adjusting will cause excess weight on support. 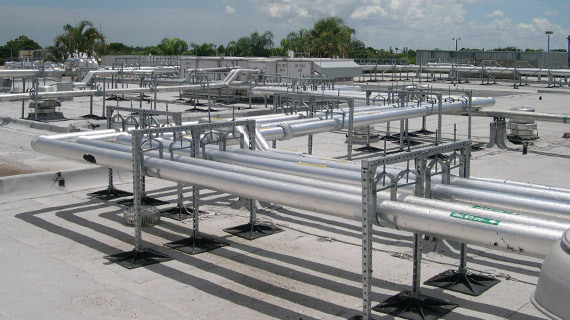 Repeat step 9 on each support in the system; making sure pipe and supports are level, both vertically and horizontally, and proper spacing is maintained per design specifications.